The first flight of Edelweiss Air, which is owned by Switzerland’s largest international airline SWISS and a member of the Lufthansa Group, has departed from Tan Son Nhat International Airport on the morning of 16th November. This flight marked the first direct flight between the two cities: Zurich and Ho Chi Minh City. According to the exploitation plan, the airline departs from Zurich on Mondays and Thursdays and from Ho Chi Minh City on Tuesdays and Fridays. 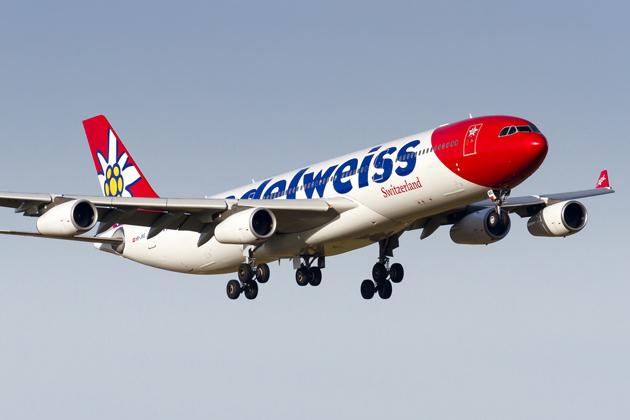 Edelweiss’s aircraft will take off from Tan Son Nhat International Airport at 8:10 am on Tuesdays and Fridays and land at Zurich Airport at 15:15 (local time) on the same day. Currently, passengers can buy tickets for their flights on the Zurich-Ho Chi Minh City route from November 2018 to April 2019 and from October 2019 to November 2019. The fare of the flights on this route varies from time to time. Passengers can find information about fares, products and services of Edelweiss on their website. 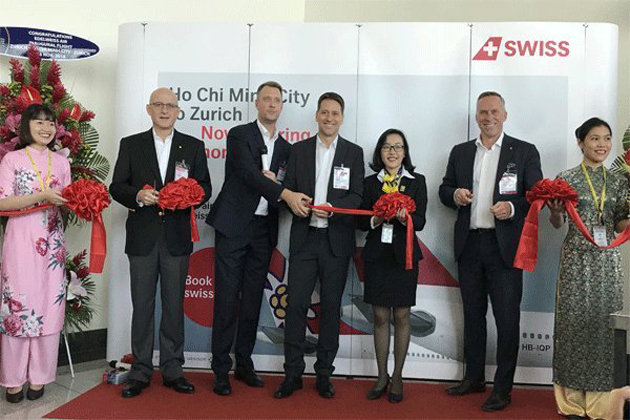 Swiss Consul General in Ho Chi Minh City, Martin Maier said that the Zurich-Ho Chi Minh City route is expected to help promote tourism and trade between Switzerland and Vietnam. The presenter of Edelweiss said that the new route gives European travelers more convenience to explore Vietnam, a destination with many exciting attractions that are becoming more and more popular in the Swiss tourist community. 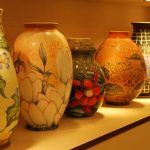 Edelweiss has provided information on Vietnam’s tourist destinations and services, including the Cu Chi Tunnels, to its website to introduce to European travelers to attract passengers from Zurich to Ho Chi Minh City. The airline is planning to expand its airline network to Asia. Edelweiss said that this flight route offers a number of options for the passengers from Ho Chi Minh City to connect their flights from Zurich to other European cities and to world-famous travel destinations through the airline SWISS. 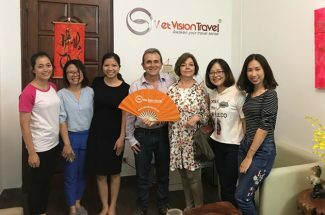 At the event of introducing destinations in Switzerland to travel companies on 13th November in Ho Chi Minh City, Ivan Breiter, director of Southeast Asia at the Swiss National Tourism Administration, said this European country has many products and services which are suitable for Vietnamese tourists.